For the second time this year, San Diego-based textile designer Cheyanne Sammons steps onto the winning stage of our Fabric of the Week contest, this time with her cheerful “Flying Ace” design (her previous win came in the “What’s the New Owl” contest this past spring). Congratulations to her and to all the other participating designers in our aviation fabric contest! 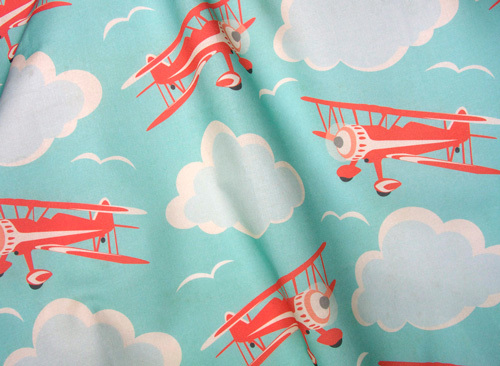 This week we decided to explore the art of aviation by asking fabric designers to have a go at the subject of aircraft. The result? 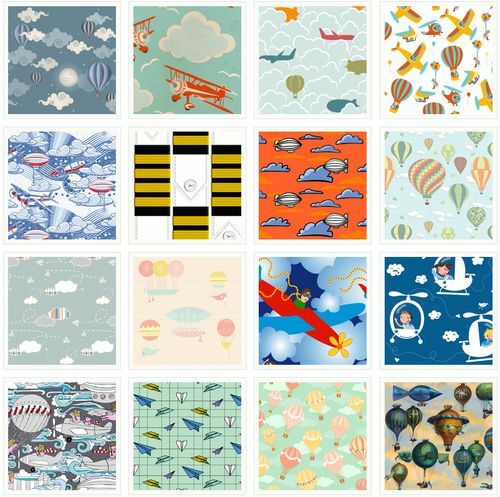 Over 200 fanciful flying fabrics. Choose your favorites and we'll post the winners next week.